The Grange Park Equine Center will finally receive $1.5 million from a state economic growth initiative to renovate and upgrade its equine facility. The ongoing growth of the Grange Fair and its equine center are world-class facilities that are only limited by their size. This grant will help to alleviate those limitations and provide an additional economic boost for the entire community. The money was awarded through the state’s Redevelopment Assistance Capitol Program (RCAP) program, which is designed to assist in the acquisition and construction of regional economic, cultural, civic, recreational and historical improvement projects. The $1.5 million will be used as part of an upcoming $3 million expansion project that will renovate the equine center by expanding exhibit arenas, adding coverings for existing facilities and constructing three permanent barns. I have very fond memories growing up with the Grange Fair. The Fair plays an integral part in our community, our local tourism and our heritage. I was honored to receive the 2017 Friend of the Fair award from the Centre County Grange Fair. I have been delighted to watch the Fair grow through the years and to be a part of that growth. 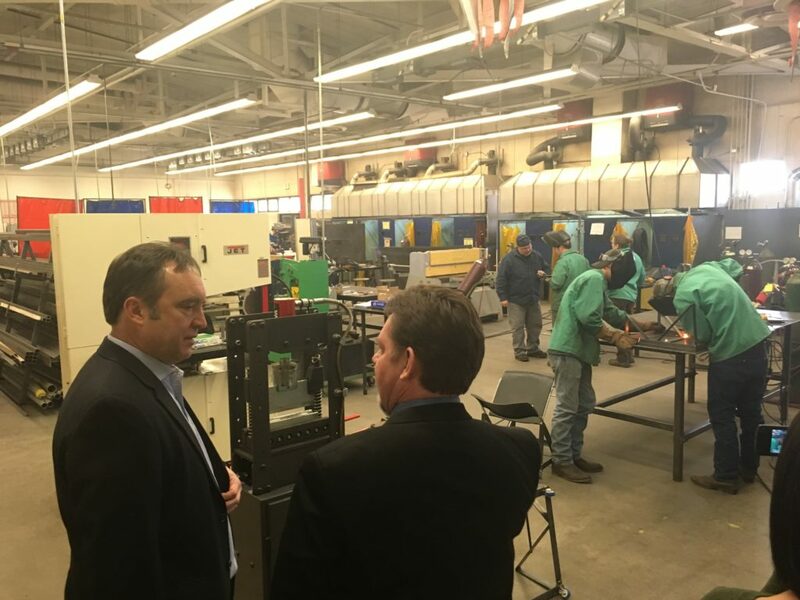 I had the privilege of touring the Huntingdon County Career and Technology Center (HCCTC) who will receive $1.125 million in state money to expand its training facilities. Enlarging the facilities in such a significant way allows HCCTC to significantly expand its programming in order to enhance their education and training. It’s an investment in our community and will meet the local demand for high-quality education close to home. 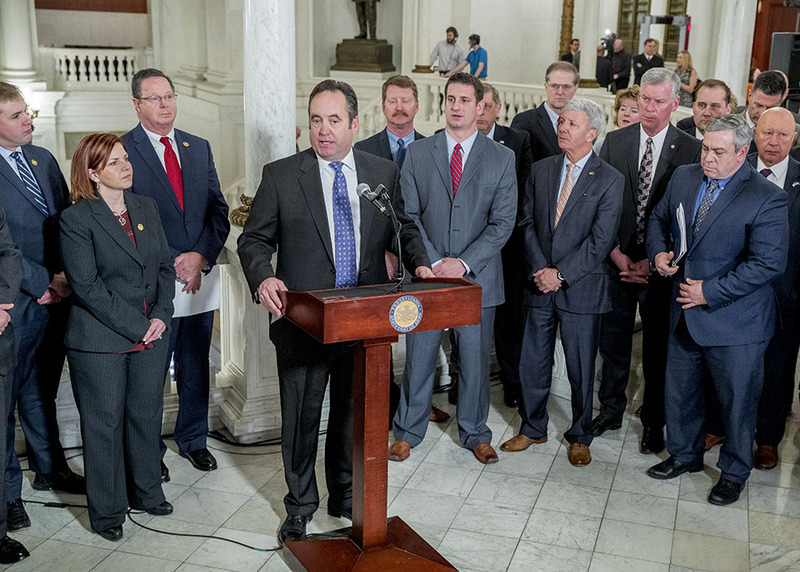 I was joined by many of my colleagues from both the House and the Senate to reaffirm our commitment to not making taxpayers the first stop when it comes to balancing the state budget. During three weeks of hearings, the Senate Appropriations Committee will carefully study the $33.2 billion state General Fund budget for Fiscal Year 2018-19 unveiled by Governor Tom Wolf. The Governor’s budget proposal includes a $1.2 billion (3.7 percent) increase in state spending from the current fiscal year. The hearings provide an opportunity for the Appropriations Committee to hear cabinet secretaries and other Administration officials detail their plans for the upcoming fiscal year. The state’s current fiscal year ends on June 30. While the proposed budget represents a solid starting point for negotiations, I am concerned about the level of new spending and a $250 million tax increase that the governor is proposing. As we move forward I am committed to enacting a fiscally responsible, on-time state budget. 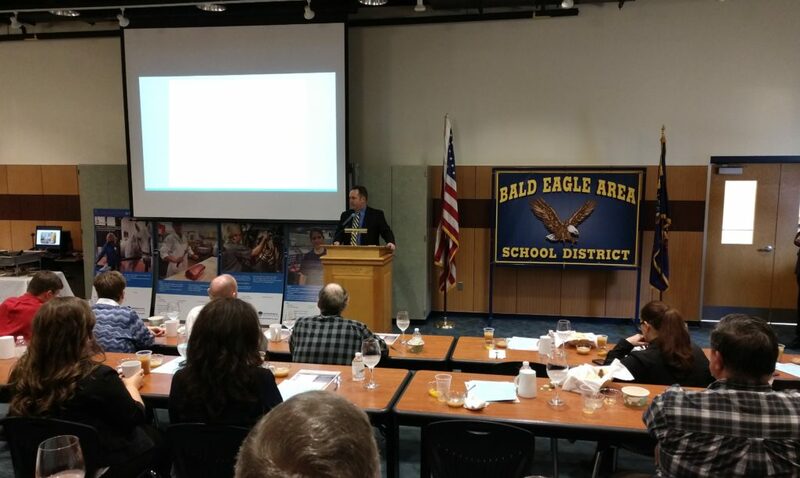 Visiting Bald Eagle Area School District for the Agricultural Education showcase was a great opportunity to talk to students interested in the state’s No. 1 industry. The students put on quite a show with a tour of the school’s agriculture department. News headlines around the state have focused on redrawing the Commonwealth’s Congressional maps. It’s worth noting that these current proceedings have nothing to do with permanently changing the process of how Congressional districts are determined in Pennsylvania. The community outcry for a change to that process has been entangled with the court proceedings. Allow me to reassure you that I remain steadfast to my long-standing commitment to thoroughly examine the process by which Congressional districts are drawn in Pennsylvania. Once clear of the court proceedings, we will resume the process initiated by our Senate State Government Committee to determine how we can improve the way we draw Congressional boundaries. The process was designed to review the various proposals in a transparent manner that allows for residents to play an active role. We look forward to returning to that discussion in the near future. 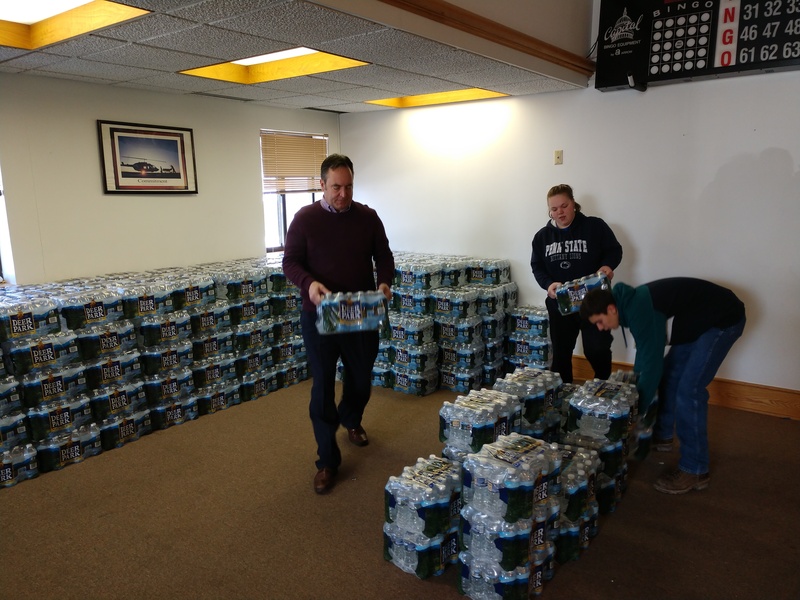 I helped distribute water to customers Mountaintop Regional Water Authority after water table levels reached emergency levels. I continue to monitor the situation and follow up with the state’s Department of Environmental Protection to ensure the Authority is able to take part in programs that will offset the costs to fix the ongoing issues with the water system. The Pennsylvania Turnpike is offering employment opportunities this summer for college students, recent high school graduates who are attending college in the fall, or graduates who are entering basic training for the U.S. military during the summer or fall. Toll collector and maintenance positions pay at least $11 an hour. The Turnpike would like to begin filling these positions by mid-March. Applications and additional information are available at www.paturnpike.com. PennDOT is also offering job opportunities for college students this summer as part of its Summer Maintenance Program. Positions pay an hourly rate in excess of $13 an hour. Interested applicants must complete an online application at www.employment.pa.gov. 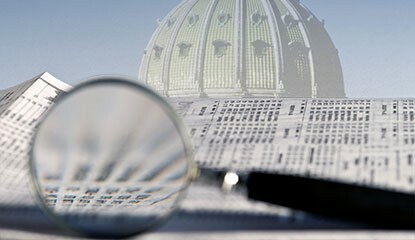 A newly enacted state law helps increases transparency on lobbying activity in Harrisburg. Act 2 of 2018 requires lobbyists to file disclosure reports electronically for quicker processing and compliance review. It also requires the state to post all lobbying reports online within seven days and boosts fines for violations. The maximum penalty for not filing a disclosure report would increase from $2,000 to $4,000. Penalties for not filing a report by the quarterly deadline would increase depending on how many late days are incurred. House Bill 1175 was passed by the Senate in December 2017 with my strong support. The Pennsylvania Fish and Boat Commission 2018 Adult Trout Stocking Schedules are now available online. Anglers can search the trout stocking schedules for locations and dates of interest. Included in this year’s stocking lists are the Keystone Select Stocked Trout Waters, a program where 21 streams across the state are stocked with large 14” – 20” trout. Opening day of regular trout season is April 14.